THE DAMNED UNVEIL NEW ALBUM! Our February cover stars THE DAMNED have finally announced details of their new album! Their first new album in 10 years, Evil Spirits was recorded in 9 days at Atomic Sound Studios, Brooklyn with legendary Bowie and T Rex producer Tony Visconti. It also marks the return to the band of Black Album and Strawberries period bassist Paul Gray. Evil Spirits is set for release on 13 April via Search and Destroy/Spinefarm. It’s available to pre-order here. The album is preceded by a single, ‘Standing On The Edge Of Tomorrow’. 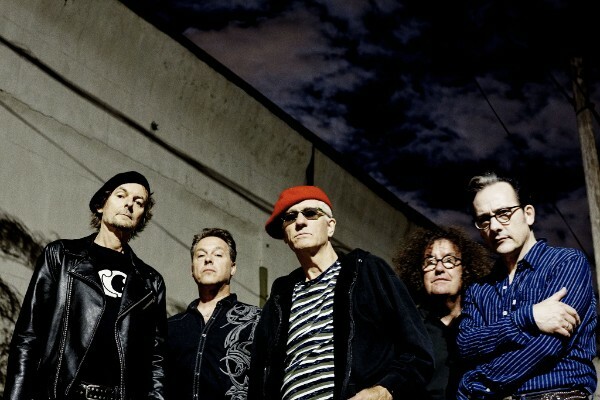 As previously announced, The Damned kick off their UK tour this Friday 26 January in Newcastle, culminating in a pair of London shows on 16 and 17 February. Full dates are…. The Damned answer your questions in the new edition of Vive Le Rock! Order it here! ‹ GUITAR WOLF ON THE PROWL!